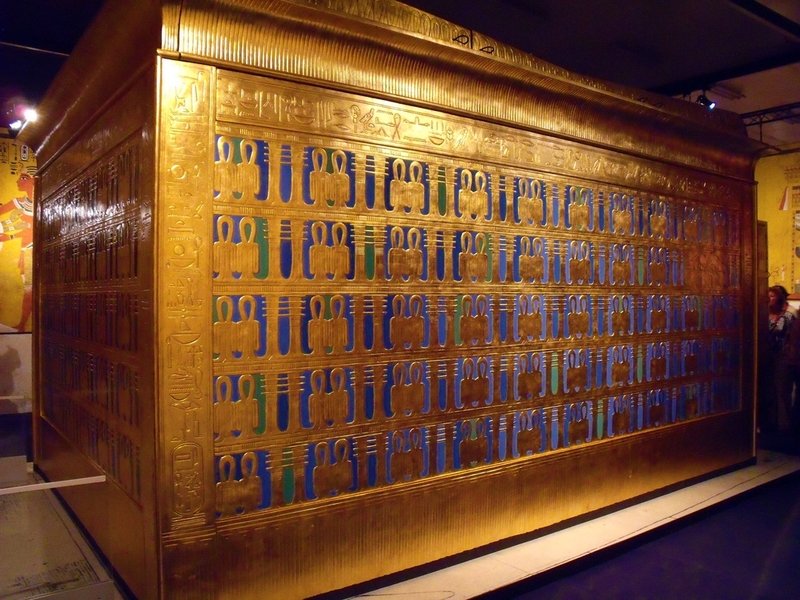 I found the Outer Shrine of King Tut's Tomb has sacred geometry that is similar to the Copyright Logo of A Book in Every Home as well as the MagneticUniverse Logo. There is Pi, PHI which involves square root 5, and the vesica pisces which is the square root of 3. I had to examine the geometry in AutoCad to see what's involved. Above shows what I found. This shows the alignment of the 1x1 unit squares. Note the touching of the inner loop of the Knot of ISIS TYET and the triangular motif on the bottom edge. 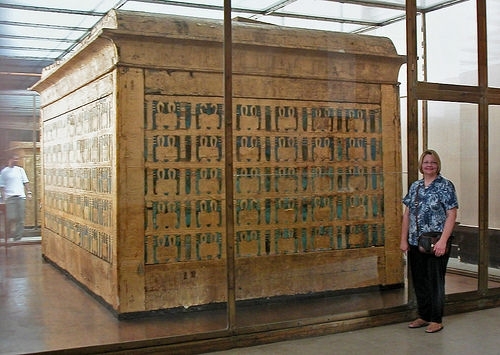 I examined photos of the outer of 4 shrines of King Tut's tomb.. wondering how many Tyets and Djed Pillars exist. I found there to be a relationship between the numbers and the Number of Days in the Solar and Lunar Calendars. That helps to put a reference to the purpose or what is represented. 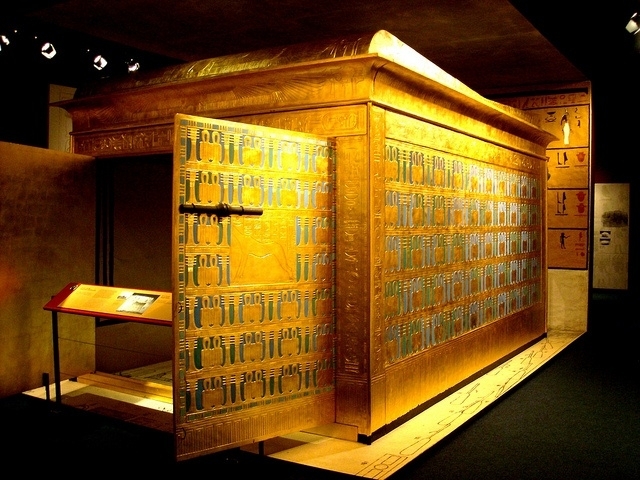 I couldn't find any reference to this Calendar / Shrine relationship of King Tut. If you wondering that the heck this has to do with Decoding EDL's works. Think of this. 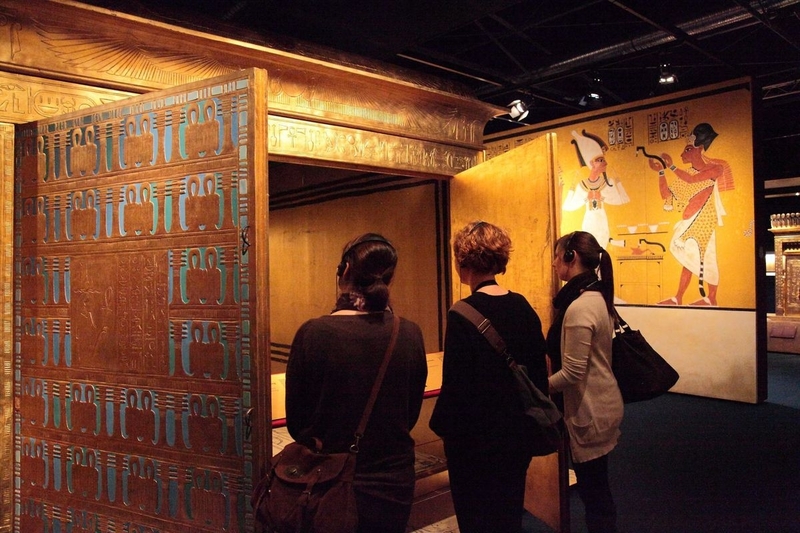 Ed's Place started to be built within 1 year of the discovery of King Tut's tomb in 1922. The Latitude of Rock Gate is within 3 to 7 miles south of Luxor Temple and Death Valley. It's virtually the same latitude where this stuff was buried. .. and for all the magnet heads.. you can't help but appreciate the symbolism of the NN SS NN SS of the Isis Knots and Osiris Djed Pillars. .. male female.. Also.. all those U shaped magnets that EDL is always talking about.